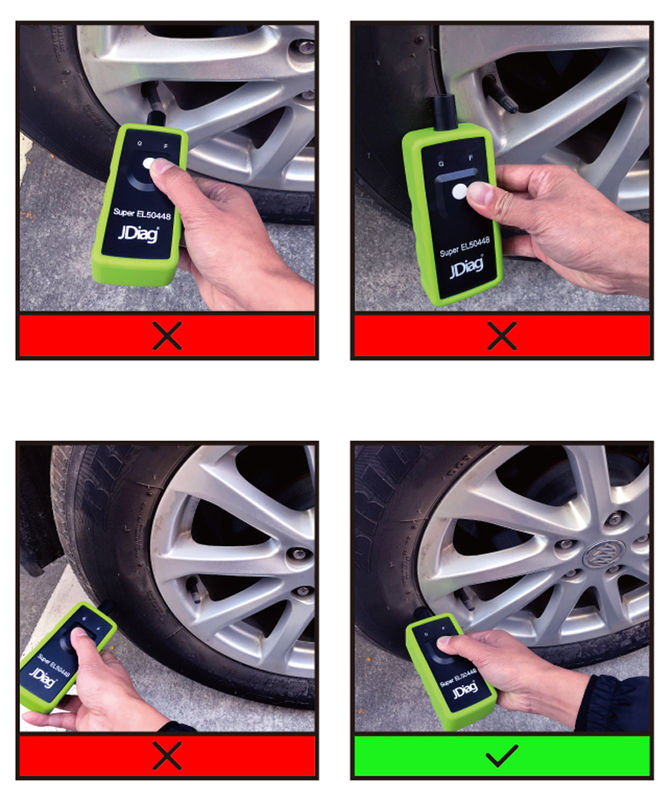 It is able to work with both GM series and Ford series TPMS relearn tool. 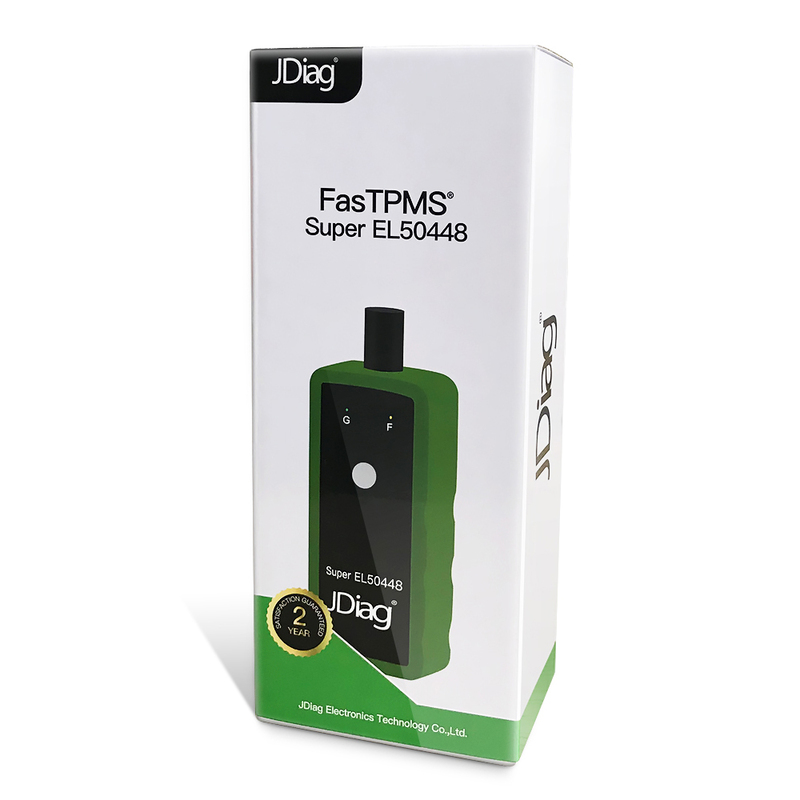 JDiag Super EL50448 is new product developed by JDiag Electronics Technology Co.,Ltd in 2017, which is able to work with both GM series and Ford series TPMS relearn tool, Super EL50448 is essential tool of replacement tire pressure sensor, tire pressure alarm remove or exchange tires for GM / Chevy / Buick / GMC / Ford / Lincoln / Mercury etc. 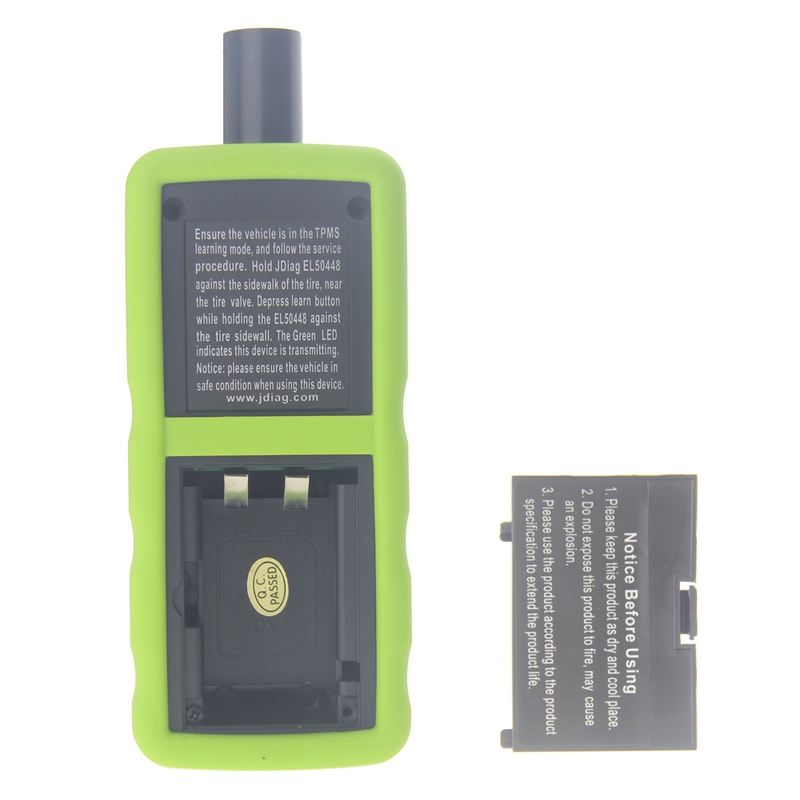 Press the power button, if the Green LED flashing, means Super EL50448 in GM mode, if the Yellow LED flashing, means Super EL50448 in Ford mode. 1. 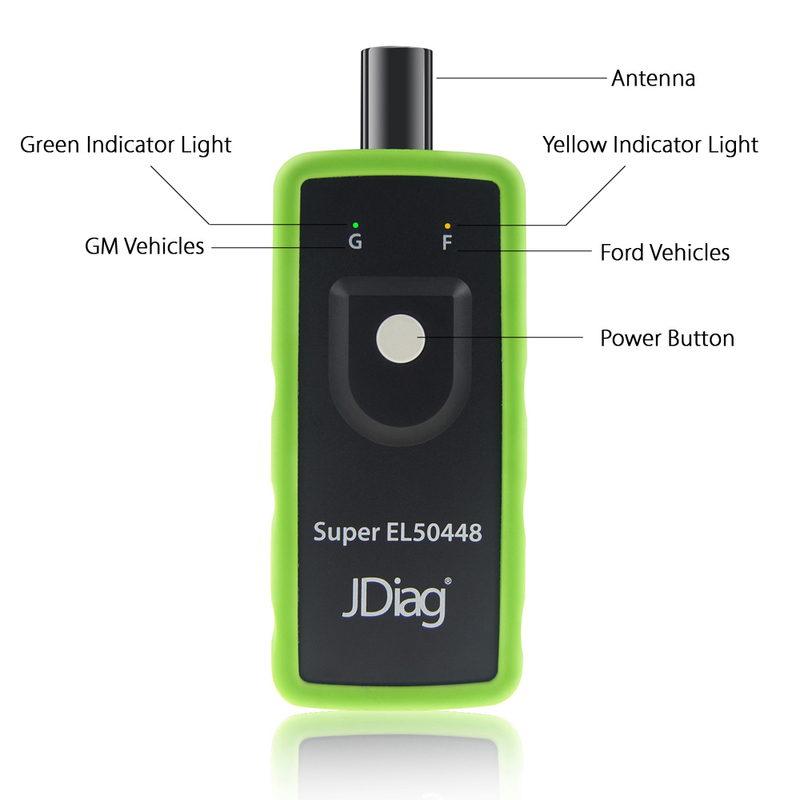 When using JDiag Super EL50448, please make sure antenna in correct position.